Oil in New York traded near $68 a barrel following a five-day winning streak after US crude inventories declined more than forecast. Front-month futures were little changed after posting their longest consecutive run of gains since April. Nationwide stockpiles declined 5.84 million barrels last week, more than double what was expected in a Bloomberg survey of analysts. The dollar, which had helped buoy oil prices after a five-day slide, climbed 0.3% on Thursday. 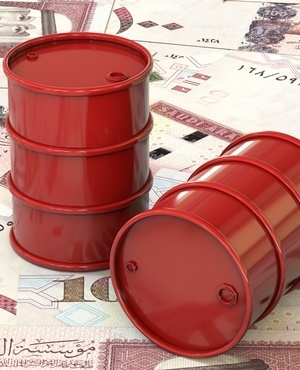 Oil has regained some of its losses this month on easing fears over trade tensions between the US and China, with negotiations resuming in Washington after a months-long standstill. Also, renewed US sanctions aimed at curbing Iranian oil exports from November could tighten global supplies, leading investors to focus on OPEC’s output levels and worldwide crude stockpiles. While a decline in US inventories helped prices rise, “it remains unclear whether China will compromise with the US on trade,” Jun Inoue, a senior economist at Mizuho Research Institute, said by phone from Tokyo. West Texas Intermediate crude for October delivery traded 6 cents lower at $67.80 a barrel on the New York Mercantile Exchange at 2:31 pm in Singapore. The contract added $2.02 to settle at $67.86 on Wednesday. Front-month futures posted their longest streak of gains since April 13 through Wednesday. Total volume traded was about 39% below the 100-day average. Brent for October settlement traded at $74.56 a barrel on the London-based ICE Futures Europe exchange, down 22c. Prices climbed $2.15 to $74.78 on Wednesday, the highest level in three weeks. The global benchmark crude traded at a $6.76 premium to WTI. Futures for December delivery rose 0.7% to 508.1 yuan a barrel on the Shanghai International Energy Exchange. The contract climbed 1.7% on Wednesday. In the US, the crude stockpile decline last week was more than a 2-million-barrel drop forecast in the Bloomberg survey. The EIA data also showed gasoline and distillate stockpiles increased, while supplies at the Cushing, Oklahoma, storage hub rose for a second straight week. As concerns over global output mount ahead of the Iranian oil sanctions, America’s emergency supplies have also come under the spotlight. The Trump administration will offer 11 million barrels of crude from its reserves, an amount that may be too little to offset the impact of the sanctions. US total petroleum stockpiles including the strategic reserves slid last week for the first time in four weeks, EIA data showed. Meanwhile, the dollar is on course for its first gain in six days as investors await a meeting of global central bankers after the Federal Reserve signalled no change to its pace of monetary policy tightening. The greenback had lost more than 1.5% in the previous five sessions, increasing the appeal of commodities priced in the greenback. • Saudi Arabia said it remains committed to an initial public offering of Saudi Arabian Oil Co. Aramco, as the company is known, is said to be focusing on buying a strategic stake in a chemical giant and putting work on its IPO on hold. • Russia’s crude supplies to China through the Eastern Siberia Pacific Ocean pipeline and through Kazakhstan totaled to 3.397 million tons last month, according to emailed data from Russian Energy Ministry’s CDU-TEK statistical unit.